Devasting effects of Cyclone Ockhi continue to be felt in India | Walk with us! During the first week of February, Fr. 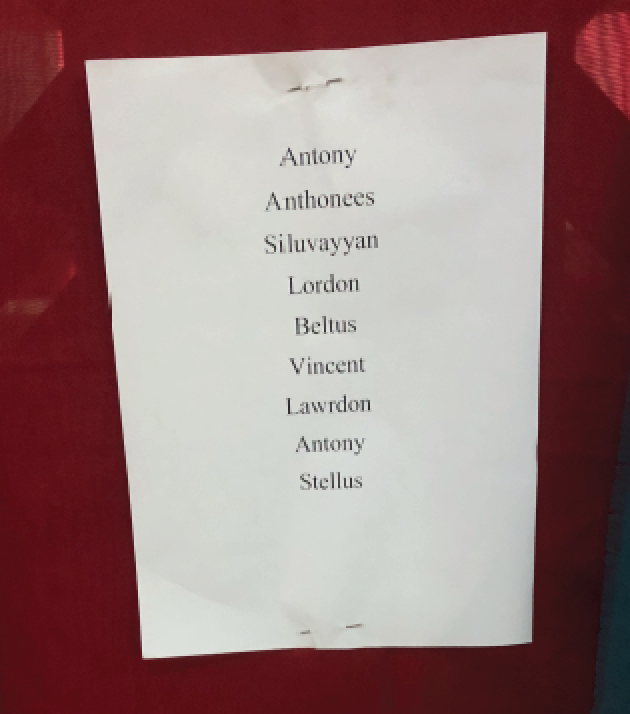 Michael Augustine, our rector, and some of our students from Kerala, will travel to the area where so many families lost husbands, fathers, sons, brothers and uncles. I suspect that very few Americans have any idea of what I am relating as our American news does not often cover news from this part of the world. 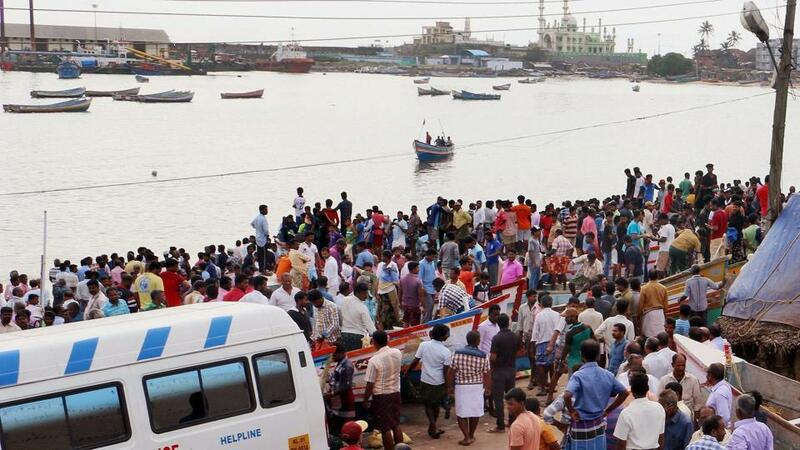 In December, Cyclone Ockhi struck Kerala and due to a lack of sufficient warning it caught many local fishermen out at sea. As I write, at least 613 fishermen are still missing. The actual figure is not clear as church officials list it at 650. In an article first published on December 2, 2017, shortly after the disaster began to unfold, fishermen expressed their anger at the lack of warning of the pending storm. They were also angry that despite weather reports predicting a cyclone, no effort was made to convey this information to the fisherfolk. “We certainly would not have ventured out on Thursday had we been given an advance notice, which normally is done,” said a fisherman who was rescued and was under medical observation at the general hospital here. A number of our Indian SCJs come from this area and have family members who are still listed as missing. A sheet with nine names hangs from our altar; a remembrance of family who have not been found, including relatives of Br. Thomas Raju (1st year), and Brs. Franklin Victor and Shabu Dennis (both are now in their regency year). Following the storm and the disaster, our community decided to send some of our SCJs originally from Kerala, including those who have family members listed as missing, to offer our moral support and solidarity to the families. Not knowing what happened to a missing family member is perhaps the cruelest fate. 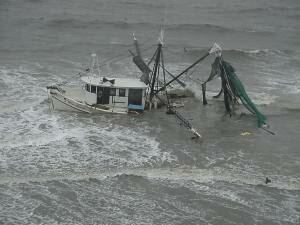 While this is all sad news there are of course stories of fishermen being rescued, and this included Br. Thomas’ brother, as well the family members of other SCJs. I don’t think that I need say much more except that we keep all of these families in our prayers. “I am a fisherman by birth, I have been fishing for 25 years. I am expert at reading the signs of nature, its sky, sun, moon and stars. With these supports I am able to do my fishing. But today we depend more on modern technologies; GPS, eco-sound and wireless systems for fishing. Today we build our boats bigger, a few fishermen go together and stay at sea according to the capacity for the catch. “On November 26, the day following the Solemnity of Christ the King, we ten fishermen went by one of our large fishing boats to fish close to our harbor, Thengapattanam, in collaboration with two other boats. Since we caught nothing we went out further. Then on November 29, at about 2:00 pm, there was heavy wind and rain. The clouds became darker; the wind became stronger and then turned into a cyclone. “We were praying together and longing for the Lord to come. Finally, the Lord listened to our prayers. Fellow fishermen came and gave us a helping hand and they tied our boat and pulled it to shore. “I have to appreciate and be grateful to these, my friends. While we were heading towards the land we saw so many boats and plywood on the water floating and sinking and the fishermen just hanging and shouting for help. We took one man from the water to our boat and saved his life; he had been swimming for two days. There were many other painful visions. Finally, on the fourth day we reached land at Chellanam beach in Kerala and we sent messages to our families. Immediately, the Kerala rescuers took us to their hospital and took care of us; the next day they sent us home. Click here to read more about the after effects of the cyclone. Fr./ Tom is right that this news did not make it in any prominent way in the US. Thanks Tom for bringing this aspect of the global aspect of the SCJs.